As the season heads toward cooler territory — or at least as chilly as it gets in Dallas — you might already be thinking about the holidays. If you’re in the corporate world, then you’re probably already thinking about plans for your holiday events. On the other hand, if you are one of those businesses that cater lunches for your employees, then you may be thinking about new places for them to try. After all, no one likes eating the same thing for lunch every day. In today’s blog, we’ll be going over whether our BBQ catering services are the right step for you and your company. If you already know that they are and we don’t need to tell you, then contact us today and we’ll get started on planning your next catering event. Providing lunch for your employees goes above and beyond just being nice. It also helps to raise morale in the workplace. It encourages people to feel that you don’t just see them as another worker, but you see them as an individual who is hardworking, loyal, and loves his or her job. When it comes to planning a holiday party, it can be construed as the same. It’s a time for coworkers to get to know one another and to just enjoy time outside of work. Not only does it raise morale, but it also raises people’s motivation. As an employer, providing meals and get-togethers such as holiday parties also shows a return on investment. A great reason to choose BBQ is that people love it — especially here in Dallas. Very few people outwardly dislike BBQ. 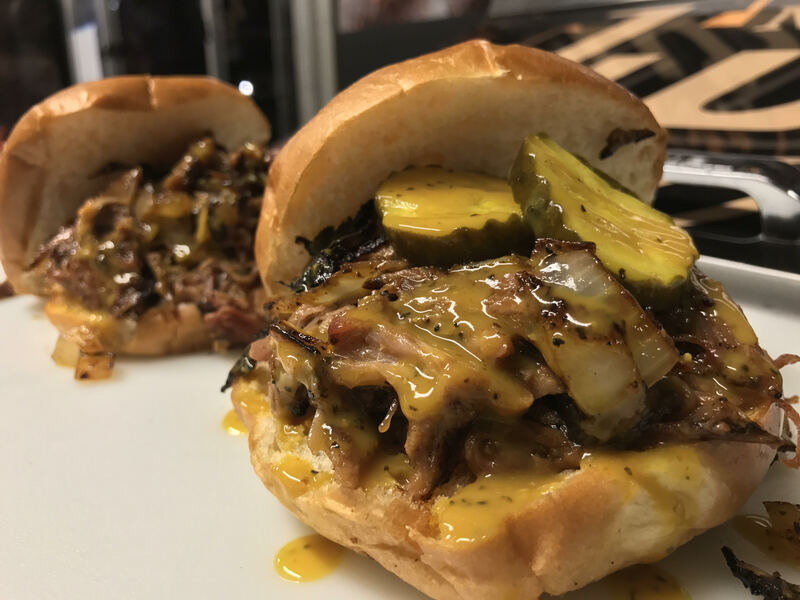 While there are some that enjoy it more than others, for the most part, when you choose BBQ for a special event, people will consume it and they will heartily love it. No matter the type of BBQ you choose, you can’t go wrong. Living in Texas, people almost expect BBQ for a holiday dinner or a business lunch because it’s such a staple to living in the Lone Star State. When you choose our BBQ catering services, you can also expect a variety of different types of barbecue as well. From turkey to ribs and sausage to brisket, we have you covered when it comes to scrumptious BBQ. One of the reasons for catering a business lunch or other gatherings that don’t have to do with work is great because it allows your employees to really get to know each other. By encouraging them to bond, coworkers will get to know each other and form positive relationships. Not only can this help to lower turnover, but it can bridge working gaps. If two coworkers have to work together a lot, but don’t really know each other, then it can harm their work. If those same two coworkers get to know each other, their work will become even better. One of the best ways to bond is to do it over food. We make event catering easy with our services. Not only do you just need to tell us what you’d like and we’ll handle the rest, but we’re not here to break the bank. We are willing to work with you and your budget to figure out a plan that works for both of us. 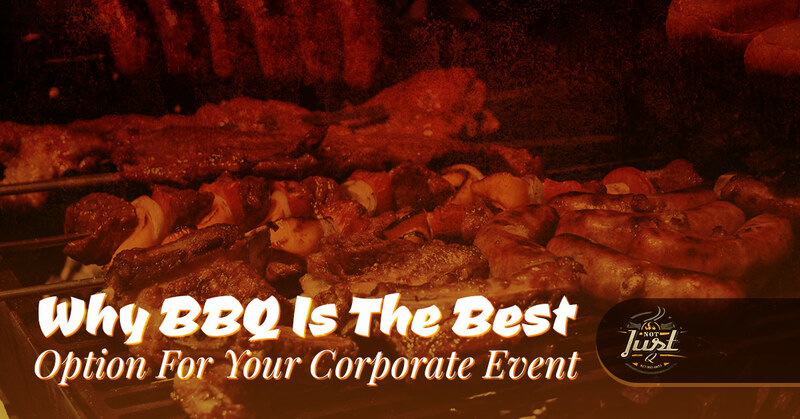 We know how much everyone loves BBQ, which is why we want to make sure that you and your company enjoy it. 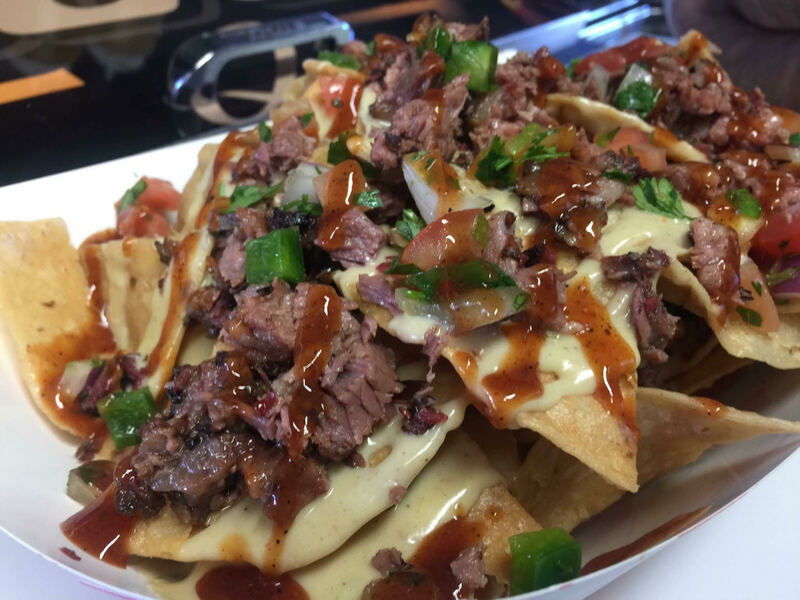 Our BQ catering is meant to be customized, so it will depend on how large or small your party is and what you’re interested in getting for your event. We strive to make everything as easy as possible because we know that you’re busy, which is why we make the process so fluid. Our last benefit of getting BBQ for your catered event is because it’s fun. There’s nothing like taking a break from looking at a screen, talking to clients, or working your way through numbers to have a bite of BBQ. Take some time to step away from the boardroom and just sit and enjoy the delicious tastes of Not Just Q. Are you interested in having your corporate event catered? If so, then don’t hesitate to call Not Just Q to get started on surprising your employees with BBQ.